This article was posted on 4th August 2017. While there may have been a time when pink was déclassé, we’ve been going potty for pinks the last two years in our homes. Credit to Pantone, they knew what they were doing when they awarded Rose Quartz one of the colours of the year in 2016. 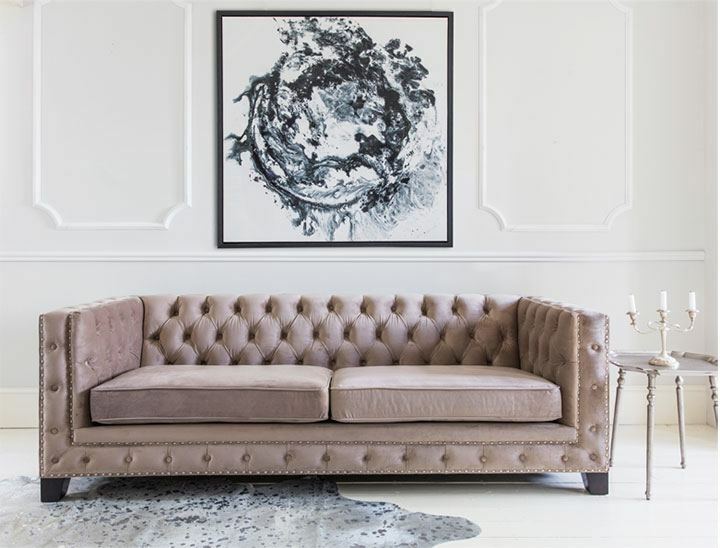 Get the look: Sancerre-Blush Velvet Sofa, Hoxton Abstract Artwork & Bijou Silver Side Table. In the 90's pink was the reserve of Malibu Barbie and all the associated plastic children were steered away from; is it perhaps ironic that the shade we’ve all been drawn to 20 years later, like moths to a powder pink flame, is the sugar-free version of this shade? Blush, powder or pale – the pink we love today is sun bleached, gently romantic and more of a muddied salmon. 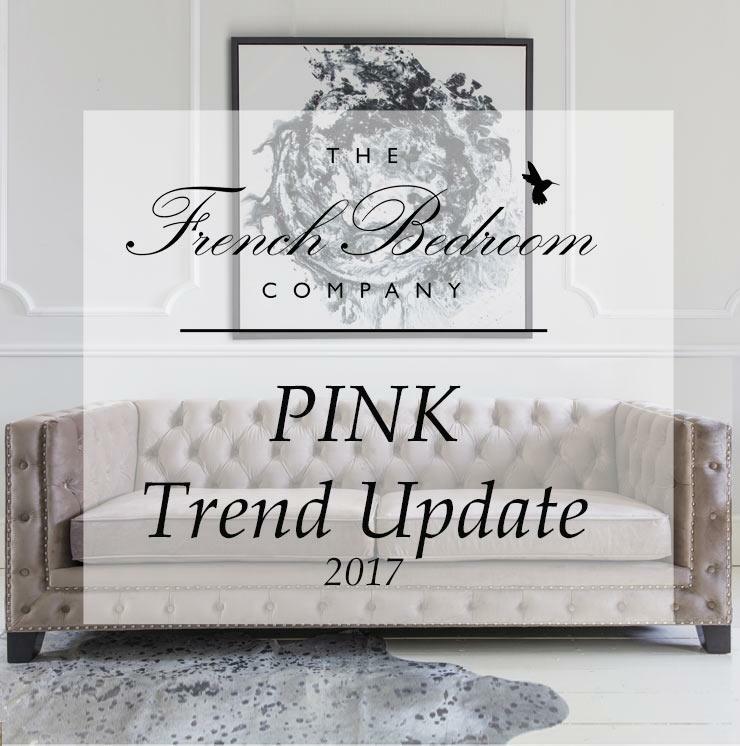 Pink of 2017 has become a neutral tone, easy for those not wanting to commit to a bolder statement colours but with a desire to dabble in colour sophistication. Featuring our Mustique Green Velvet Stool and Pineapples Maze Cushion. As with most interior trends for 2017 and beyond, add a splash of green or don’t be seen. Another of Pantone’s forecasts, Greenery has been huge in our homes this year. The resurgence of the trusty house plant has been taken to dizzying heights, so to ensure your pink is still riding the style wave, pair it with a belly basket brimming with foliage and a cascading hanging variegated ivy. 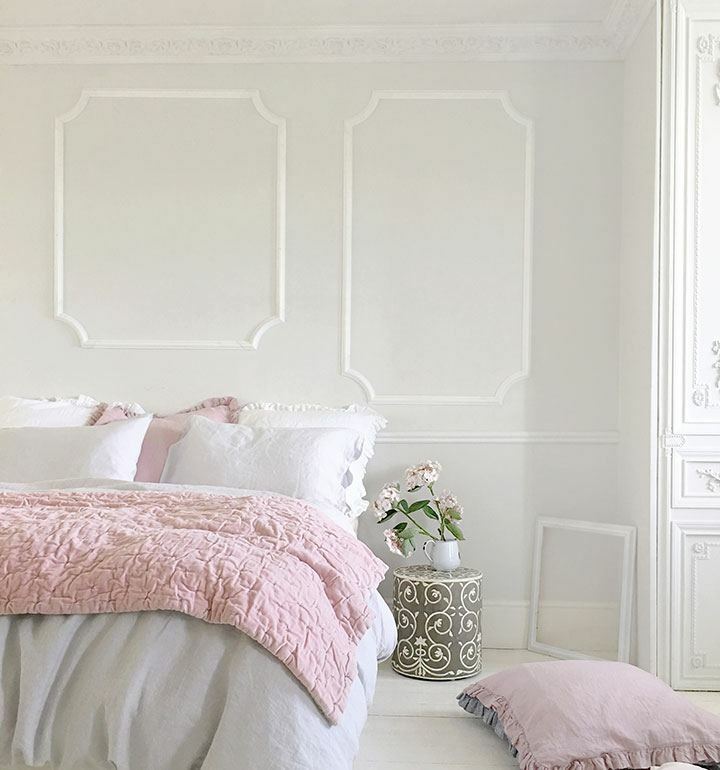 If you're feeling brave opt for Farrow & Ball's Studio Green for your bedroom walls and add our Lisbon Pink 100% linen bedding to freshen your look. 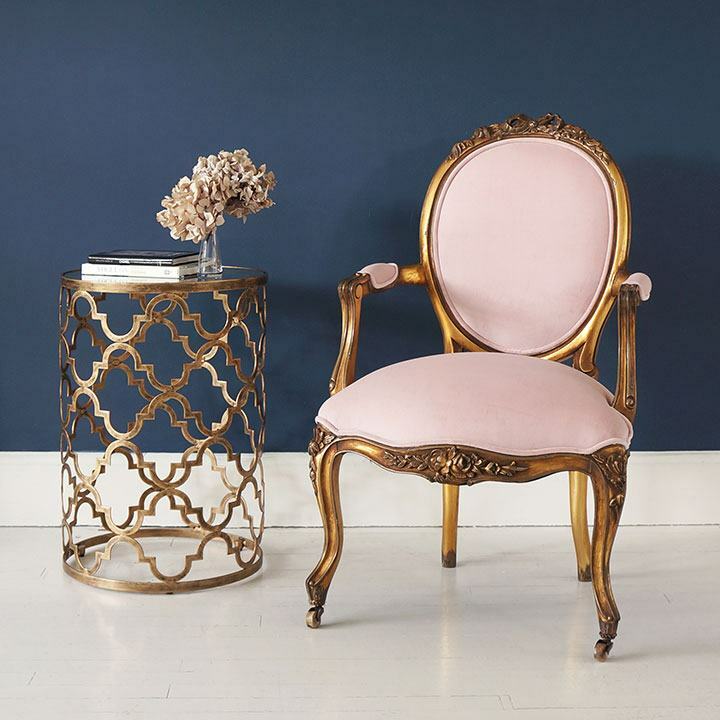 Get the look: Sacre Coeur Pink Velvet French Chair and Quatrefoil Side Table. Add some drama! 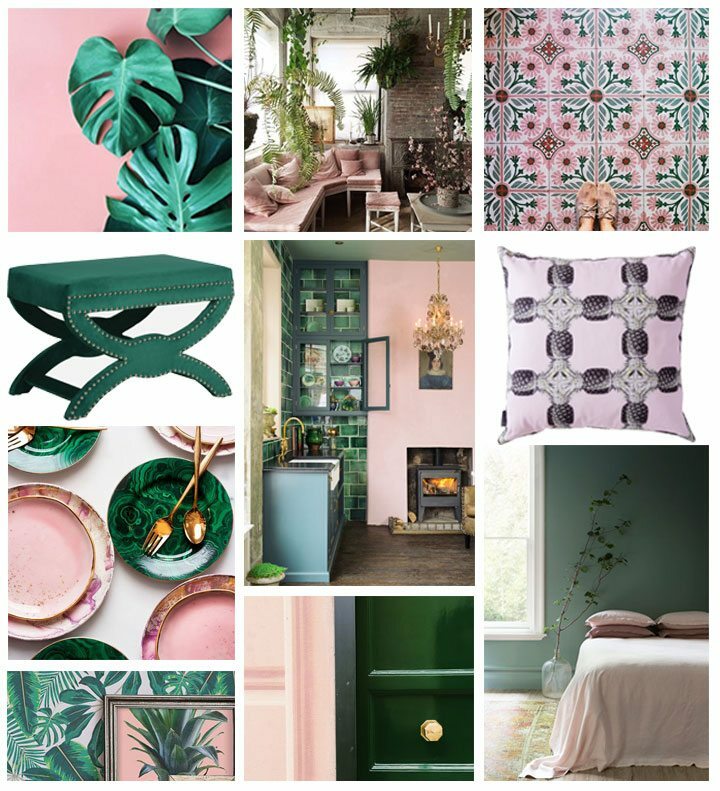 Jewel tones have taken the interiors world by storm over the past 12 months; originally making a strong appearance at the design shows in Milan and Paris, then winding their way to our homes through more attainable styles. Dark inky blues and rich emerald greens are a sure way to give soft pinks a grown-up edge and ultimate style points. 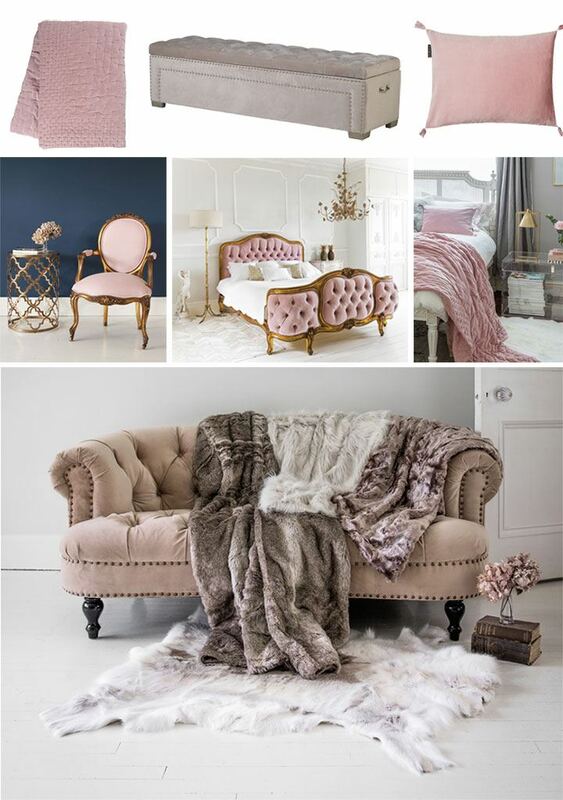 Featuring: Pale Pink Velvet Throw, Olivia Cushions and Jasmine Side Table. VELVET! Velvet is the epitome of luxury – adding texture and depth to any interior, velvet is undoubtedly the material of the moment. Pink velvet throws and cushions are perfect for softening masculine, charcoal bed linen or breaking up a crisp white bedroom. Soft pink Velvets are perfect to team with a plethora of metallic shades from copper to brass, rose gold to silver. Making its way up the trend barometer is marble, add touches of cool marble among your pinks for sophisticated style.